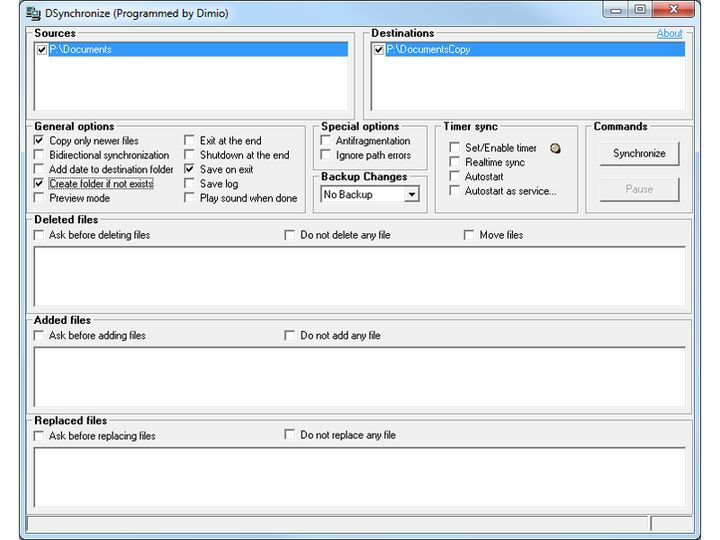 DSynchronize is a utility that can synchronize two or more folders on storage devices. It works with folders on Hard Disk, Floppy Disk, LAN, USB Key, CD-DVD (with packet writing software) and FTP server. It supports real-time sync, or to specify the time and the day to schedule the synchronization to run, and to create some additional "filters" for other factors.